If you like the atmosphere in Canada and possess permanent residence in that country would not be logical to get Canadian citizenship? The wonders of Canada have amazed many people, so they decided to become citizens. In the article below, we explain the submission and process requirements to achieve the desired Canadian citizenship. 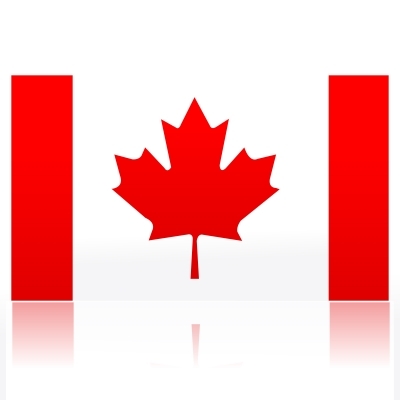 This citizenship which recognizes you as a Canadian citizen opens you lots of doors. Canada is made up largely of immigrants; nearly 150,000 residents arriving annually choose to obtain Canadian citizenship and thus have citizenship. The advantage of citizenship is the right to vote and to have Canadian passport, which does not offer the residence. – should be a permanent resident at least 1095 days in the past four years. If the person has had a prior residence as a student or temporary worker, each day of the previous residence is equivalent to half a day, to be taken into account. – Master and speak correctly, any of the official languages, English or French. – Do not have a criminal record, or deportations. – Proof of permanent residence or PR Card. – Two passport photos, which must have been taken during the last year. – Certificate of Sponsor, which is a Canadian citizen, acting as guarantor to the government. After fulfilling all the requirements and pass the citizenship examination, Citizenship and Immigration Canada (CIC), sends the invitation to the induction ceremony, in which the applicant swears and the immigration judge delivered the certificate of Canadian citizenship. – Freedom to leave or remain on Canadian soil, persons do not lose citizenship by residing outside Canada. – Can work for the federal government, after swearing to Queen Elizabeth II and Canadian laws. – Do not be deported because they are officially Canadian citizens and the constitution does not allow this kind of deportation. The requirements to access to citizenship are extensive, but there are exceptions, which vary by age and time of residence of the applicant in Canadian territory, generally those who benefit most are the elderly people. It is emphasized that the Canadian government allows dual citizenship, but we must find out if the country of origin of the immigrant or applicant accepts dual nationality.